Remember the good ol' days? Nothing triggers fond memories more clearly than the candy of your childhood days. Hurrying to complete the household chores to ensure the weekly allowance made it securely into the pocket or hand of an eager child. A detailed and pre-determined mental list of mouth-watering candy treats that was earnestly purchased at the local Mom and Pop store; Boston Baked Beans, Wax Lips, Bit-O-Honey, Now and Laters Candy just to name a few. These wonderful retro candy treats not only provide the unique taste of the good ol' days, each chew induces reminiscent times of those endlessly long days of youth, when the only cares were having the winning home run, hop-scotching the longest or being the best shooter at marbles. There are countless memorable childhood activities pleasantly enhanced and easily recalled by someone's favorite candy. Whether it was winning the box of candy-coated and gloriously crunchy Boston Baked Beans waiting at the bottom of the sleigh riding hill; or the endless giggles provided at Halloween, when friends made funny faces while wearing an over-sized pair of sweet tasting Wax Lips. Enjoying your Bit-O-Honey always helped to alleviate the dreaded first day back to school. Receiving the Boston Baked Beans as a reward for washing the family car made the chore seem worth the effort. The retro candy of honey and almond flavored Bit-O-Honey, and fruit flavored Now and Laters candy were also perfect, for sharing with your group of friends during the overnight back yard outings. Memories of enjoying the individually wrapped taffy treats by the glow of a flash light rush back at the first nostalgic taste. A pleasant gift selection for any occasion is giving overflowing retro candy gift baskets filled with these long ago and endearing confections of yesterday. Children of all ages enjoy satisfying their sweet tooth on these unique and tasty morsels. Original and unparalleled, retro candy gift baskets provide a glimpse back to those much-loved moments. They make a great Holiday, Valentine, or Birthday present and are perfect for sending someone a much-needed smile. Delivering retro candy gift baskets to a friend will guarantee a joyous grin; when they look inside to find the wonderful present, of nostalgia wrapped in the delicious goodness of their favorite confection. Nothing says love like giving Mom or Dad a gift of their sugary childhood delights along with a wonderful opportunity to take a walk down memory lane. Today's world is fast-paced and ever changing. Retro candy enhances those endearing remembrances of times gone by while creating an opportunity to enjoy the candy flavors of endearing moments from decades past. The latest report on the average age of life expectancy for a man is 74.1; for a woman it's 79.1. That said, it seems that any person reaching the milestone age of 80 not only deserves our respect, and pat-on-the-back, but an 80th birthday retro candy gift basket. Okay, so it's candy, but so what? Retro candy at the age of 80 or older is a good thing and it does allow the birthday man or woman a chance to celebrate like a kid again. We should all be that lucky. Even the late comedian Joe E. Louis who uttered the famous line: "If I'd known I was going to live this long, I would have taken better care of myself," would have enjoyed an 80th birthday retro candy gift basket from his fellow comedians. Actually, birthdays are not really about celebrating your age—it's about celebrating your birth; ergo, birthday. It's a day to commemorate your entrance into this world, and reflect on your life and all of the choices you have made along the way. And what better way to celebrate than with a retro candy gift; the perfect alternative they won’t expect. Look folks, it can be your own 80th celebration, a family member, or a close friend. Any way you slice it, reaching the 80th birthday pinnacle can be a milestone in any person's life. It's also a cause for joy and happiness. If you're planning an 80th birthday party for that special person, you have an octogenarian in your life. And you’re most likely thinking about a special treat for him or her to commemorate this happy occasion without "breaking the bank." Birthday cards are okay, but your birthday man or woman has more than likely seen all the birthday cards they want. So why not choose an alternative treat. An 80th birthday retro candy gift basket should do the trick and put a smile on their faces. You're never too young to enjoy the taste of candy. There are few people in this world that didn't love candy when they were young children growing up. However classic candies were still apart of their childhood. Many link certain foods, including candy, with fond memories and long time friends. Candy can remind people of a simpler time when their biggest worry, was which candy bar to pick to eat today. In this day, however, all of that candy is not still available. The retro candy can be difficult to find, but holds so many great memories for some that it still holds an important place in their hearts. One way to combat this difficulty and sadness over lack of retro candy are retro candy gift baskets. They bring out the inner child in all who give or receive them. They include such classic candies as Pop Rocks, Jujubes, Razzles, Sugar Babies, Fun Dip, and candy cigarettes. It also includes candies that are such classics that they are still being made and remain top sellers to the general public. Among these are Skittles, Sour Patch Kids, Nerds, Good N' Plenty, Dots, Red Hots, Smarties, Swedish Fish, and more. There is a candy for everyone to enjoy, and many that mean much more than a good taste in the mouth of the consumer. It means a part of their childhood, it means long lost memories. The retro candy gift basket is the perfect gift for anyone, young or old. Whether it be based on their nostalgic connection to the candy or simply their love for a tasty treat. Sometimes this can make a great gift just because the gift basket takes the person back in time. 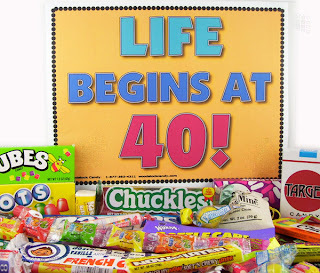 If you are trying to figure out the perfect gift to give someone who is turning forty this year, 40th birthday retro candy gift baskets are the answer. This amazing gift is something that everyone can enjoy and it leaves a special impression. Forget the normal and boring gift ideas and turn to something new and fun. If you know someone with a sweet tooth, give him or her a gift that will be appreciated. Retro candy gift baskets are memorable. This present will take you back in time with each bite of your favorite candy from the past. You can choose from all sorts of different candies like Red Hots or taffy. Do you remember those fun candy cigarettes that use to be so popular? Opening up a retro candy basket can make you feel like a child again. It is a unique gift idea that will stand out in the mind of the person that receives it. 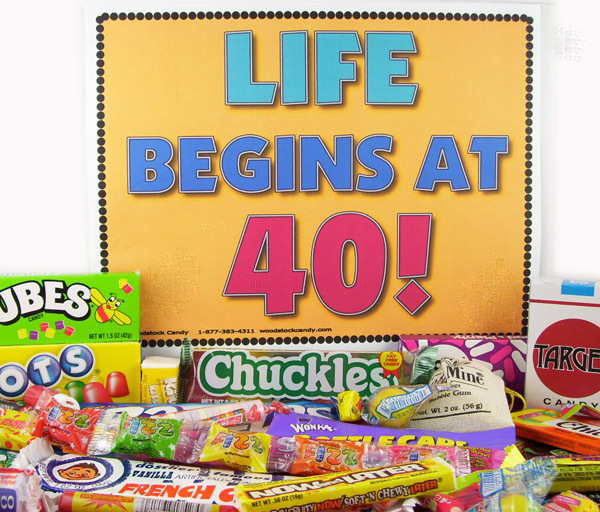 There are many themes that 40th birthday retro candy gift baskets can come in. You can choose over the hill themes or hippie themes. Pick a basket that will cater to your loved one's past. You can have a lot of fun just browsing through retro candy gift baskets and remembering how good each piece of candy use to taste. If you are smart, you will be around when your loved one opens the gift basket and hope he or she wants to share with you. If not, you can always order another basket for yourself. This retro candy is too good to pass up. Retro candy is a tasty and thoughtful gift. It is an affordable option that will make your loved one feel special. Pick out the best gift basket you can find and enjoy making someone's day unforgettable. It can be extremely difficult trying to figure out the perfect gift for someone who seemingly has everything. A gift basket is the perfect choice. Whether the gift is for a birthday, an anniversary, a graduation, or just because, anytime of the year is the perfect time to give someone a gift basket. Personalized retro candy gift baskets are a simple way to give someone a very personal and thoughtful gift. Personalizing a gift is not only thoughtful, but it can make a real statement and stand out among other gifts. While gift ideas abound and gift options are plenty, finding something that is unique, personal, and symbolic of how much you care seems like an almost impossible feat. A personalized gift is definitely the right direction to turn, but there are many options in personalized gift-giving as well. The gift of candy can elicit strong emotions and accompanying smiles and gratitude for the memories. 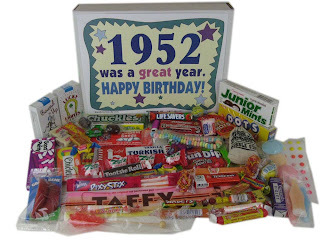 Imagine giving a gift of sweet candy memories as a birthday gift to a woman who remembers trips with her grandpa to the candy store once a week to buy Necco Wafers, Wax Bottles, and Candy Buttons in the 1950s. Think of the thrill you can offer a favorite uncle as he opens up his retro candy gift basket to discover the Dubble Bubble, Pixy Stix, and LemonHeads he loved as a child in the 1970s. Picture yourself receiving a gift full of candy that you haven't tasted since you were six, nine, or 12 years old. Just about anyone can appreciate a gift that involves food in some way, but putting the extra bit of thought into making it personal with retro treats and fond memories of a great childhood is a touching testament to how much you care. Bring back the welcome and warm memories of "yesteryear" and the "good ol' days" with a personalized gift basket. Retro candy is a gift that says, "You're never too old to feel young at heart." If a friend or a loved one has an upcoming 50th birthday celebration, there are ways to make the celebration unique and memorable. Host a surprise birthday party, take them to their favorite restaurant, or cook them their favorite meal. Along with the celebratory event, you will probably want to give a birthday present that they will enjoy. One item that is excellent to give and receive is retro candy gift baskets. Most people love candy, and an assortment of candy from their childhood is bound to bring back pleasant memories. 50th birthday retro candy gift baskets are appropriate for both men and women. 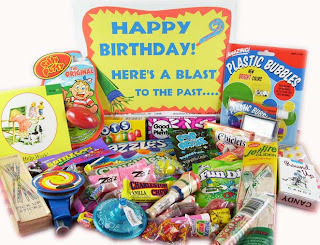 These retro candy gift baskets include nostalgic toys and candy that the birthday person will enjoy. 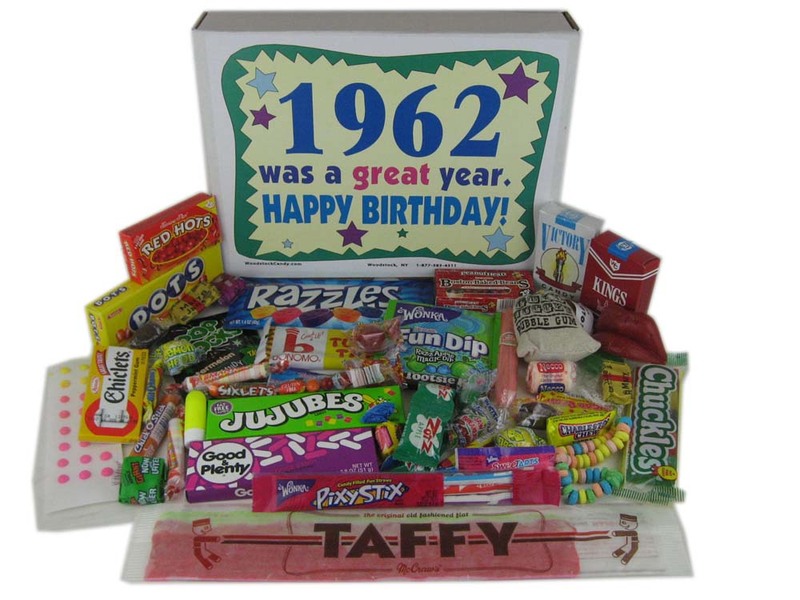 Candy such as Bit-O-Honey, Razzles, and Root Beer Barrels are some of the treats that will await the recipient of 50th birthday retro candy gift baskets. Whether you are hosting a birthday party for a loved one or just attending a birthday celebration, these are a great solution for the person who has everything. Opening the box and seeing their favorite candy and toys from their childhood will bring back great memories of times with family and friends as a child. 50th birthday retro candy gifts baskets are a great value for the price and wonderful if you are looking for a unique gift to give. The birthday guest of honor will have a great time donning the peace sign necklaces and eating candy buttons with their party guests. Have A Bad Birthday Last Year? This Year You Won't! Sometimes, birthdays can feel like a complete let down, especially if you did not celebrate it yourself, or if something just simply did not work out on your special day. If you had a bad birthday last year and you want to make it better this year, you can do so with a bit of planning and by finding a variety of party decor, food, and candy that will help to bring your birthday gathering to life. When you want to shop for candy that is unique and will make this year's birthday as memorable as possible, you can do so right from home by searching for retro candy gift baskets or traditional retro candy to order as well. Why Order Candy for Your Birthday? 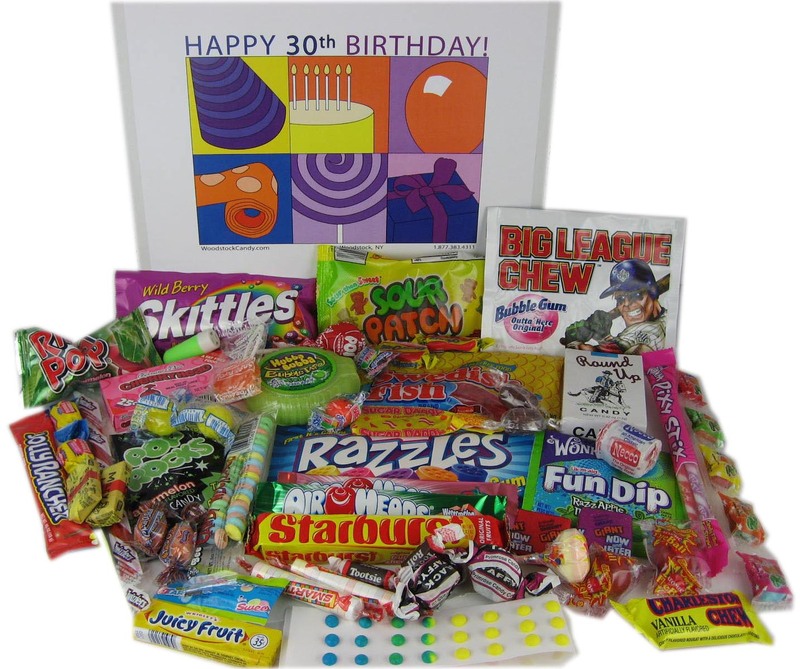 Ordering retro candy boxes and even retro candy gift baskets is ideal if you want to have a fun and memorable birthday party, especially if you have favorite candies that are no longer sold on typical store shelves. 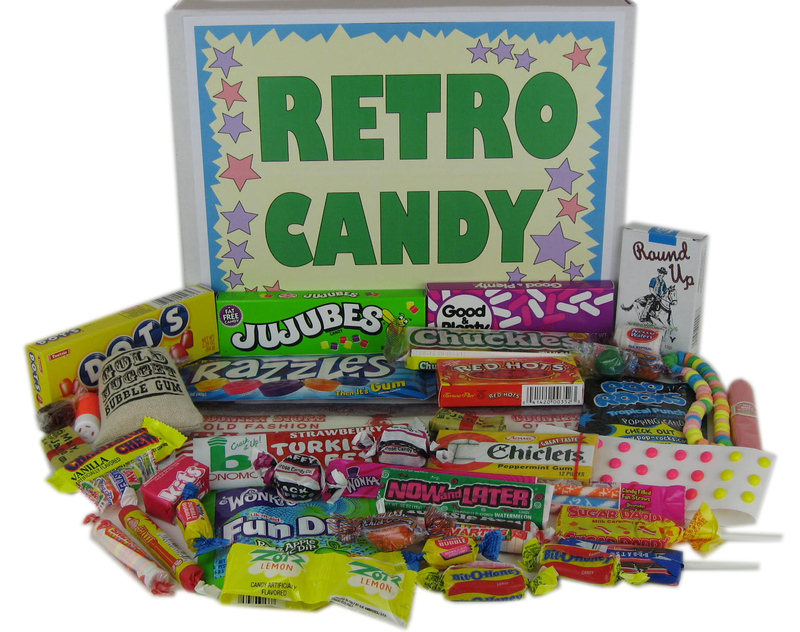 When you choose to order various types of retro candies, you can do so right from home online to have a broad selection available to you to order. When you choose to order different types of retro candies, there are plenty of choices available, most often organized by the decade in which they were released or most popular on store shelves. 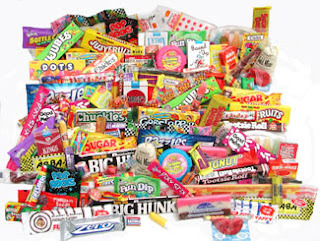 Common types of retro candies included in various retro candy boxes includes candy cigarettes, traditional taffy, Red Hots, candy buttons (on paper), and even traditional Smarties and Tootsie Rolls. Other candies that were popular in the 60s includes Pop Rocks, Fun Dip, Chiclets, candy necklaces, Pixy Stix, and even Zotz along with candy and wax lipstick. Retro candies that were popular in the 1970's include the Smartie Pop, Lemon Heads, Rock Candy, Smarties, Atomic Fireballs, Razzles, Jawbreakers, and Pop Rocks as well. Gold Nugget Bubble Gum and candy buttons along with wax lips were also popular retro candies in the 70s. Retro birthday candy boxes available online are ideal to give for birthdays or even to order for your very next birthday party to celebrate with your family and friends. 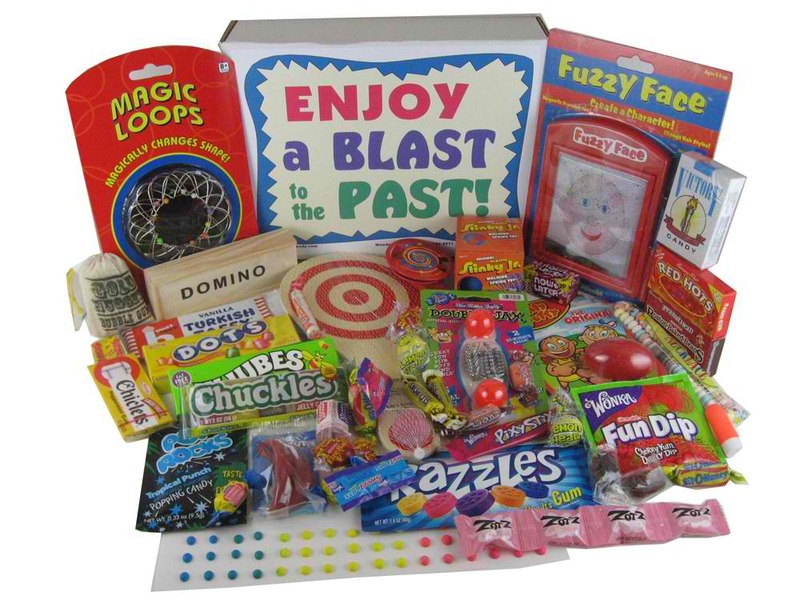 The retro-styled candy boxes available online often come included with toys, necklaces, and other gadgets based on the decade you have chosen for the candy you want to order. Why Choose to Order Retro Candies and Gift Boxes Online? When you choose to order various types of retro candies in individual packages or even in gift box form, you will most often always have more choices of inventory to select from when you browse online as opposed to shopping for the retro candies you have in mind locally or using a variety of different candy stores near you. By shopping online, you will not only have more candies to choose from, but you are not required to drive long distances to retro candy shops to find the candy you are looking to buy. You can also save money when you choose to order retro candies online as opposed to shopping in person. For many, thinking back to childhood is a source of good memories. Spending time with family and friends, school day memories, even seeing the clothing that was worn "back in the day" can trigger thoughts about the past. One other fond memory that many people have about their childhood or younger years is candy. Though there are many great varieties of new candy, retro candy like Boston Baked Beans, Wax Lips and Bit-O-Honey seems to bring back good memories, and remind people of their previous life experiences. Retro candy gift baskets are an ideal way to bring up old memories in a unique way. These baskets may include items other than candy, but it will be the sweet stuff that means the most. These gift baskets are great for many different occasions like birthdays, holidays, anniversaries, or even just as a way to say "thinking about you". A way to break the monotony of present day life, receiving some retro candy may be just the thing to brighten the day. For some, these candies may remind them of times with their parents, or dates with significant others. Another possibility is having the memory of a life changing event like beginning school or hanging out with friends after class at a drugstore come back - all with a simply piece of candy. Though some brands like Now And Laters candy are still well liked and relevant today, many have been replaced and "upgraded" to current varieties. Many young people do not even know what Boston Baked Beans are, and hope that Wax Lips don't end up in their goodie bags at parties, meaning that the newer generations have been raised on new flavors and options. Retro candy gift baskets will have different meaning to older generations, and can be counted on to bring a smile to any adult's face. Selecting and sending one of these gift baskets can say a great deal about a person's personality. Whether simply hoping to bring a smile and some past memories back to a person, or trying to make a good impression, packing a basket full of retro candy that includes Wax Lips, Now and Laters candy, Bit-O-Honey and Boston Baked Beans is a safe bet. These candy varieties were large parts of childhood and early adulthood for many people, and being reminded of the past in such a way is always a welcome gesture. If you know someone who has a 50th birthday party coming up, you need to make sure you are able to find the very best present for the individual. You only turn 50 once, which is why you need to locate something special for them. When you are looking for a 50th birthday gift, there are many different items available to you. These gifts can range from gags to serious. You might want to look at both kinds of gifts, so when you are checking out the 50th birthday gift, you give yourself plenty of options. You can't go wrong with a candy basket. Who doesn't love candy? With this product, you're able to satisfy their sweet tooth, no matter what they are looking for or what might be best for them. With so many different varieties of candy included with the package, you know they are going to enjoy it. Plus, there is so much candy they might just go on and share it with the rest of the birthday party, including you. So if you see something you like, make sure to jump at the chance to snack on it first. You never know how quickly it is going to go. 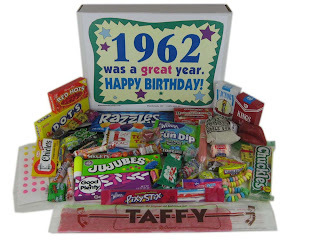 This 1962 candy basket is available directly through the Woodstock Candy website. If you are looking for something a bit more adult than the 50th birthday candy gift basket, you might want to consider something that is aged and in the alcohol category. It is possible to purchase something made in 1962, which will give it exceptional vintage. So whether you purchase a bottle of fine wine or whiskey, you are able to locate something that is going to work for you. Although the 50th birthday candy gift basket is a solid option, this is something they are able to enjoy slowly Chances are, they aren't going to drink it all at once, but if they do and share it, you'll enjoy it all right down to the last drop. If the individual was born in 1962, you are able to find them all sorts of items. Although you don't have to go with the candy or the alcohol, there are plenty of other options available to you. This can range form a fun "Born in 1962" shirts or just about anything else with the "50 year old" information printed on the content. So no matter what their style is, you can find something that works just for you. You only turn 50 once, so when your friend turns 50 and there is a birthday party, you need to make sure you are able to give them the necessary present that is going to help them celebrate their birthday. No matter what they like or what kind of present you are looking at purchasing them, there is something available to you that they will love and enjoy. From candy to shirts, cake to aged alcohol, it is possible to save a good deal of money while giving them an exceptional present.